With ideal mix of luxury and natural perfection, JA Manafaru is a total Maldives all inclusive holiday and a top choice for travellers seeking adventure, a family time or a honeymoon experiense in secluded settings. Expect a verdant paradise luxury hotel in the Maldives offering overwater villas, spacious beach accomodation with private pools, white sand beaches, excellent dining options and spectacular seaplane transfers from Male. JA Manafaru manages to cater to both honeymooners and families alike, but high rollers opt for the enormous Royal Island suite, with its own luxoriuos spa. 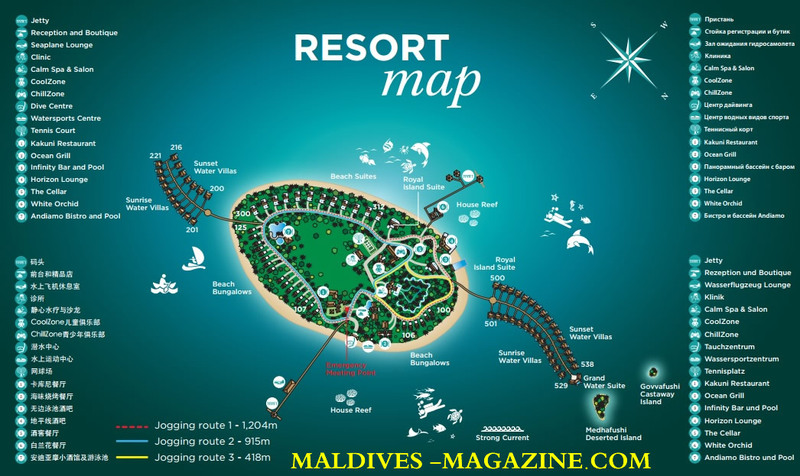 JA Manafaru is a 35-acre private island a sea turtle habitat in the far-north Haa Alif Atoll. For total escapism, this unspoilt paradise seduces guests with lush emerald foliage, untouched white sands and house reef snorkelling, alongside exceptional dining experiences and architecturally-stunning beach and water villas with private pools. One of the Maldives’ most extraordinary luxury retreats, JA Manafaru lavishes its guests with luxury from the moment they arrive to the moment they depart. Delivers both family fun and romantic intimacy without one encroaching on the other, the resort is located on the Haa Alif Attol approximately 199 miles north of Male and is accessible via a 75-minute seaplane journey from the terminal that is about a five-minute bus ride from Velana International Airport, Male. The seaplane transfer is a real treat as it flies over the many other island resorts enroute to JA Manafaru giving great views ops. Once you have gone through customs and have been reunited with your bags you walk through to the outdoor arrivals area and find your resorts representative. This area is quite a bottleneck as arriving passengers attempt to transfer to their island resorts either by seaplane or boat. Suitcases need to be rechecked and hand luggage assessed for weight if flying and you'll very happy head away to the lounge to await your next flight. The lounge at the airport where you needed to wait an hour or two for our seaplane is a typical airport lounge, nothing fancy but adequate for a short stopover with access to wifi, snack food, and beverages. Good news: The resort are building a more luxurious purpose built lounge at the dock area so this step will hopefully be improved in the coming months. Experience the wonders of Mother Nature at her best. Whether it is beachfront or water living you seek, each of the 84 villas and suites at JA Manafaru has been designed to complement the natural setting of the island. Check in time at the resort is 2pm so you loved the fact that you could go straight to your room, The personal concierge program works really well as there is no need to visit reception to do any paperwork as this is all taken care of for you. Given the large number of celebrities and smooching couples that frequent the resort, the utmost importance is given to privacy. Each suite is perfectly hidden, with its own private pool and large outdoor space - with room for loungers, plants and even a cabaña. The style is soothing and simple, with cream walls and lots of dark wood. We highly recommend the cheaper (relatively speaking) but more characterful beach bungalows, some of which have split levels and colourful modern artwork, to the near-identical over-water options - though mosquitoes are more of an issue. The open-air, granite-clad bathrooms are all huge, and come with “his and hers” sinks, Elemis toiletries, monsoon showers and whirlpool tubs. While the Sunrise Water Villas bask in huge floor-to-ceiling windows, the idyllic Beach Bungalows are hidden tropical retreats, with a private beach cabana and open-air bathroom just steps from the pristine white sands. As for extras, try to avoid silly “pillow menu” (increasingly a superfluous staple on the high-end hotel circuit) thanks to the complimentary Nespresso machine and fast and free Wi-Fi. For those unfamiliar with budgeting, there are a handful of truly enormous suites - including the “Royal Island”, which comes with a snooker table and its own spa and bar. 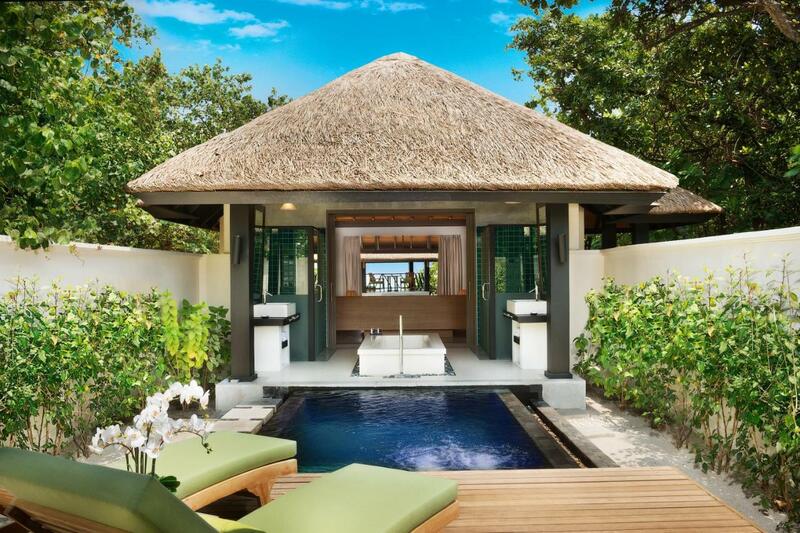 Each of the 83 villas has an expansive outdoor bathroom, a plunge pool, sun loungers, and a shaded daybed that are entirely private, along with the requisite room technology of Wi-Fi, iPod docks, DVD players. The well-stocked fridge that meant you didn’t need to venture out other than at mealtimes or to visit the gym plus the stunning infinity pool and idyllic outdoor deck work perfectly for your needs. Beach Bungalows – Offering spacious accommodation just steps away from the beach with private beach cabanas complete with a plunge pool. The surrounding tropical greenery makes this quite the private hideaway and perfect for families. Room for up to 3 adults plus 1 infant. Beach One Bedroomed Suite – A larger beach option that can accommodate up to 4 adults. A private deck area with infinity pool and an open-air bathroom are just a couple of the luxurious features of this class of accommodation. Room for up to 4 adults plus one child. Sunrise and Sunset Villas – As the name implies the villas are designed to offer you amazing views at the start or end of each day. The villas are set over the water and have a glass panel built into the floor so you can observe the marine wildlife without the need to venture outside of your air-conditioned sanctuary. The private deck with its infinity pool and comfy loungers is cleverly designed to offer privacy from your neighbors. Room for up to 3 adults plus 1 child. You'll probably spend around 75% of your time in the villa so this is a major selling point for this resort. The Ultimate Luxury – There is 1 Grand Water Two Bedroomed Suite that can accommodate up to 5 adults plus 1 infant and 2 Royal Island Two Bedroomed Suites complete with a sauna, steam room, and spa treatment area that can accommodate up to 6 adults plus 2 infants. Dining is excellent here, with a number of innovative restaurants and bar options on the island. There are three main restaurants - Kakuni, for fish and coconut-rich Maldivian cuisine; White Orchid, for Oriental fodder including sushi; and Ocean Grill, for steak and lobster (a pool in the middle of the restaurant is filled with dozens of the blighters). Kakuni Restaurant is the main eatery, a buffet-style restaurant that has a sumptuous selection of international and Maldivian culinary delights and selected themed dinners. Within a lush setting beside the resort's main swimming pool, Andiamo Bistro & Pool is the stylish à la carte restaurant where sumptuous Mediterranean flavours and home-style dishes entice, while the beachfront Ocean Grill is a stunning setting for mouth-watering seafood and succulent grilled meats. The award-winning White Orchid restaurant is famed for its exceptional Asian à la carte cuisine. Set in an overwater bungalow, you'll not only enjoy idyllic ocean views, but innovative creations of Japanese, Chinese, Indian and Thai specialities. There's also a Teppanyaki table here for the ultimate Asian-fusion experience. Each is reliable, and the surroundings smart, though I’d question the obvious obsession with very low lighting - the waiter don’t need to clip a tiny torch to the top of your menu. • Unlimited non-motorised watersports including windsurfing, kayaking, stand-up paddle boarding, catamaran sailing and canoeing. A fourth option - The Cellar - is a must. The island's exclusive fine dining venue and available to book just once a week, it’s a single table with room for around 10 diners located inside the island’s beautiful (and the country’s solitary) underground wine cellar to JA Manafaru. 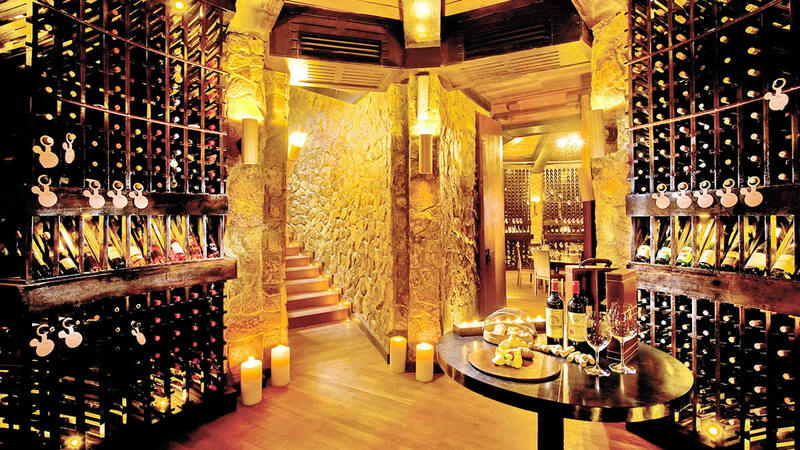 Unsurprisingly very popular, two-and-a-half metres below sea level, this volcanic stone 'wine cave' is a haven for romantic dining, and offers haute cuisine with an exquisite selection of premium vintage wines. Well the manager is French, so what do you expect? For drinks, head to the Infinity Bar & Pool to enjoy delicious cocktails and appetising light snacks. Alternatively, visit the Horizon Lounge for a vibrant after-dinner setting. You'll find an extensive menu of signature cocktails and refreshing beverages here, as well as cosy sofas and live entertainment, and a serene outdoor terrace that affords incredible ocean views. Very. There's a crèche, cinema and kids’ club “Cool Zone” with a shallow swimming pool, table tennis, fussball, pool table, and even a fully-stocked games room with a flight simulator and Playstation with bucket seat for motor racing nuts. Babysitting is available at the resort plus a dedicated activity program for the little ones. This resort is very popular with families; in fact one look at any of the restaurants told you that as most tables were set for 4+ and was quite a contrast from our previous visits to the Maldives. There are a lots things to do on Manafaru Island to keep the whole family happy and active. The gym is open 24/7 with access granted via your electronic room key. Although not huge there was a good variety of equipment on offer and was usually empty when my husband visited for his daily workout. If you are feeling energetic then there are a variety of other sports on offer including tennis courts, table tennis, beach volleyball, an 18-hole golf simulator and a pool table. There is a PADI dive center offering plenty of water sports including water skiing, windsurfing, canoeing, kayaking, stand-up paddling, catamaran sailing, speedboat excursions, wakeboarding, jet-skiing, mono-skiing, knee-boarding and fun tubing (motorized sports have additional charges). The resort also offers a variety of ‘special experiences’ such as Maldivian cooking classes, fishing trips, romantic beach dinners, and sunset boat cruises. The nearby uninhabited islands, under the same ownership as the Beach House, are ideal for snorkeling or picnics. If you have friends who think there is nothing to do in the Maldives so I like to do my bit to dispel that myth. The diving at JA Manafaru, Maldives, Haa Alifu Atoll is an experience in itself. As this is the only resort that operates in this part of Haa Alifu Atoll, private diving is very much guaranteed. The corals are making a great come back after the set back during the Tsunami in 2004 and at various reefs, hard and soft coral formations offer a stunning sight all along the dive. The diving is fairly easy compared to other Atolls, because of the wide channels and shallower depths: the currents are less forceful. Manta rays are very common in the season from December until May and 2 dive sites with ‘cleaning stations’ give the divers the opportunity to enjoy their movements at a shallow depth very close by. Large groups of dolphins are often seen inside the Atoll. The house reef is at the end of the jetty a couple of minutes away from the diving school. It has a sloping reef and abundant reef fish make your first dive a breathtaking experience. Hidden with lush greenery, the Calm Spa & Salon is a secluded wellness retreat which offers guest pure indulgence and relaxation. Oases of calm, eight stand-alone treatment rooms not only enjoy a private garden, but an open-air rain shower and bathtub. Experience authentic Maldivian healing treatments alongside ELEMIS facials, therapeutic Ayurvedic treatments and soothing massages, or simply head to the sauna or Jacuzzi for a bit of pampering and relaxing downtime. 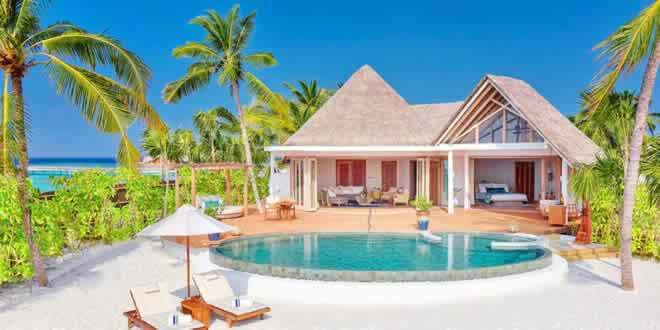 The JA Manafaru Maldives gets mostly very good reviews, although a few previous guests have pointed out some confusion upon arrival, which could easily have been caused by an external booking problem. Generally the island and its remoteness is very highly regarded, and the rooms, staff, service, and food all get good marks as well. Considering the JA Manafaru Maldives is more in the moderate price range, its reviews are more positive than similar properties in the Maldives, so it looks like a solid choice for a honeymoon or any other kind of romantic getaway. Check out at 12:00 but flexible if possible and pay 50 percent of the daily rate. The earliest check-in time is 14:00. 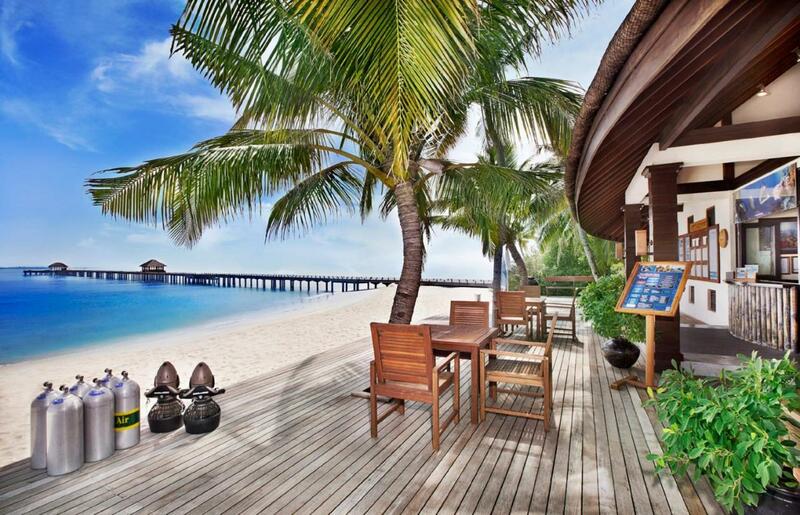 Award-winning JA Manafaru, part of Dubai based, international hospitality group JA Resorts & Hotels, was recognised twice at the Seven Star Luxury Hospitality and Lifestyle Awards in the Indian Ocean category for the third year in a row.